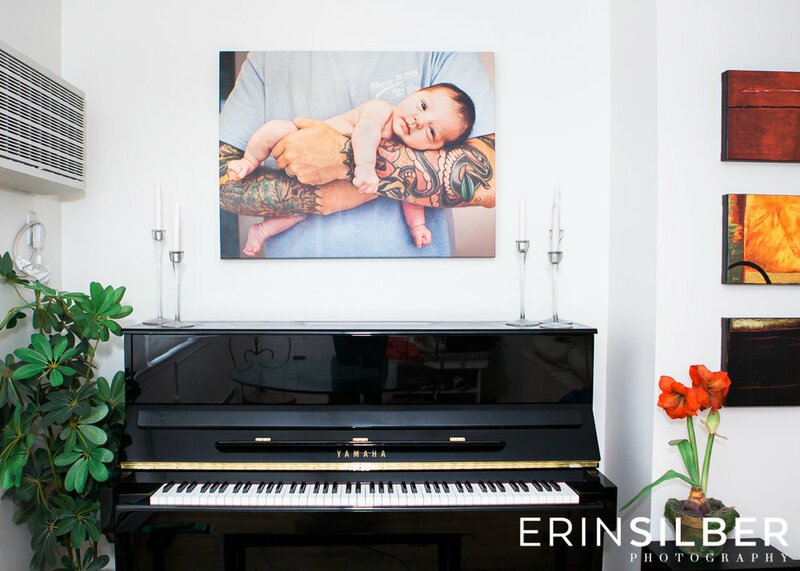 Erin Silber Photography — WHY ARE FAMILY PORTRAITS SO IMPORTANT? These days, families are increasingly viewing their images exclusively in a digital form, be it a mobile device, a laptop, or on social media. But does an image on a mobile phone, tablet or computer screen have the same impact for helping families boost a child’s self-esteem? “My bias is very simple. I think the family photographs should be on the wall,” says Krauss. “I am very conservative about self-esteem and I think placing a family photo someplace in the home where the child can see it every day without having to turn on a device or click around on a computer to find it really hits home for that child's sense of reassurance and comfort. They have a certainty about them and a protecting quality that nurtures a child...” says Krauss. I LOVED delivering the below magnificent 40x60 canvas to one of my clients this past Fall. It is such an honor that this great family of 4 sit under their portrait at every dinner. In the end, its all about family. I love making my family portraits into artwork. Clients should think bigger than 8x10....It makes an amazing impact and puts a smile on your face every time you walk by. I have a very typical NYC apartment...it is approximately 1000 square feet for my growing family. Even though I do not have a huge home....I love to showcase my large scale family portraits. These family moments are so fleeting...its so wonderful that my sons and I get to celebrate these works of art every day. It is always my goal to capture an authentic moment that is about you and your family...the love and connection you have to one another. When a client hires me, I make sure to highlight every family member because every single person is an integral part of their family's story. I write this sentiment from my own experience. On a regular basis, I hire a photographer to capture the family love between my two boys and I. Years from now, your children and mine will value having us in the photographs just as much as we want to chronicle their milestones now. 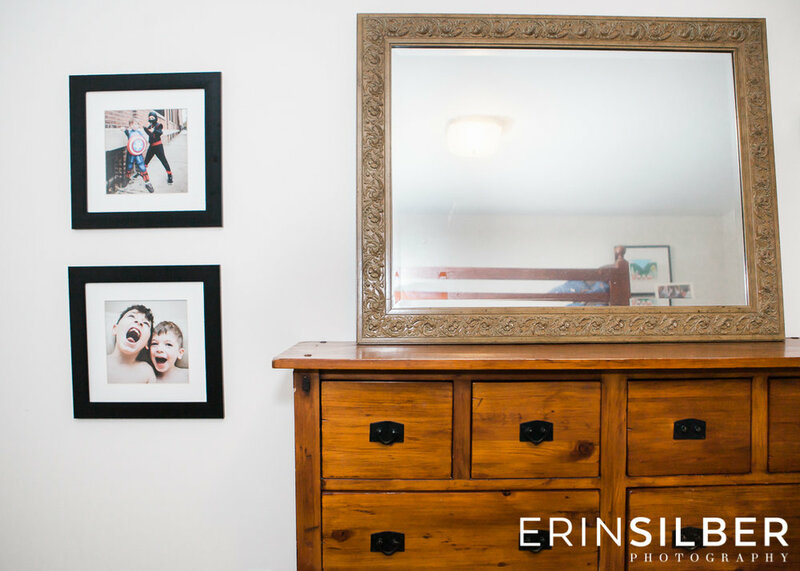 After the session, my clients choose from a variety of boutique products to preserve their photographs and to display those family portraits within their homes. These uniquely wonderful family portraits celebrate my clients' family history and are enjoyed by every family member on a daily basis. Additionally, these high-quality finished pieces are photographic treasures that will be passed down to future generations. Please see the below video from Professional Photographers of America (PPA). The video highlights the importance of preserving your family memories with printed photographs.